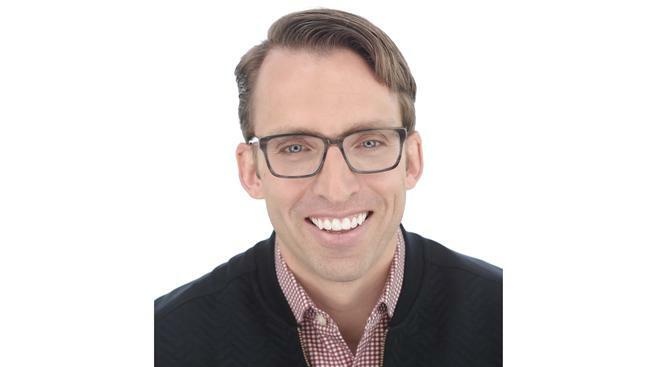 At Adobe’s flagship Digital Marketing Summit, executive VP and general manager of digital marketing, Brad Rencher, proclaimed the rise of a third wave of enterprise transformation where experience is the competitive advantage. It’s a narrative most marketing leaders are well and truly familiar with, but writing their own version is proving much harder. The reality is many are still struggling to comprehend the cultural and operational implications of transforming from a campaign-driven approach to one where marketing is a continuous cycle of engagement based on moments and relevance. While in Sydney for Adobe Symposium on 26 July, Rencher caught up with CMO to discuss how marketing chiefs address this need for experience-led engagement, and where pitfalls remain. He also provided an update on the latest technology trends disrupting marketing, and how marketing clouds such as Adobe’s are maturing to suit these needs. At Adobe Digital Marketing Summit, you made the point that experience is the new differentiator for brands, not the products and services they produce. What actually is experience? Brad Rencher: For me, it comes down to how a brand makes you feel. A lot of times, marketers and CMOs in today’s digital age think about the experience as what you put on the screen, or having a product to sell. But look at brands like Apple: What’s it like when you get an iPhone? You open it up, it’s beautiful packaging, and from the moment you leave the Apple store with your new device, it’s an experience. Brands have to start thinking about how you feel when you interact with them, that’s the big change. If consumers today are controlling brands and their perceptions of them, how much power and influence do marketers truly possess to impact and change their views? Rencher: Yes, you need to have a two-way conversation as a brand today - you used to yell at consumers through your big marketing megaphone and they took what you said and liked it. That’s clearly not where we are anymore. But the message still matters and brands can still completely change a conversation. Look at the current craze, which is Pokemon Go. Was Nintendo a brand people were talking about? But in its first week, the market capitalisation went up by 25 per cent. And there’s a whole new generation of people now thinking about Nintendo differently. For me, Nintendo was the old DS gaming systems – that’s where they’ve been stuck in my consciousness. But one marketer and a product person came up with an idea and look at the results three weeks after launch. Whether Pokemon Go is a lasting phenomenon or not, it’s certainly changed the narrative around that brand. As an industry, we talk about this need to shift from a campaign-based mentality to end-to-end engagement and continuous, consistent experience. Where in your opinion is the gap in customer journey and understanding? Giles Richardson [group head of analytics] from Royal Bank of Scotland, who presented at our conference earlier this year, had a saying that captured this, although he wasn’t talking specifically about marketing but about projects. He said historically there has been a ‘firework’ approach to projects. This meant you do a bunch of work, you light a fuse, the fireworks go off, everyone claps and the MD says congratulations. That is a little bit like what campaign marketing has been - you do a bunch of planning, then launch, and it’s a firework-type approach to customer engagement. The continuous cycle is hard. The biggest area I see marketers continue to trip up is that they still want that ‘firework’ and bang. But with a continuous approach, it’s about those small moments. Did I insert the brand into this person’s life in a way that makes sense to them and increased their long-term brand loyalty in addition to buying some products along the way? That’s a harder question to answer, but it really comes down to moments. From a more technical standpoint, where people fall short is in connecting consumer experiences in different channels and being able to do that in context. Look at my relationship with Delta Airlines for example: I have an app, a Web address, a kiosk at an airport, the agent when I check in, another agency in the loyalty lounge, and these are all touchpoints. Marketing sometimes gets control over one, and says look at how great we’re doing there. But as a consumer, I don’t care because I don’t live in a single channel. Either marketing isn’t controlling enough of the experience, or the chief experience officer isn’t driving enough of that cross-channel approach. Is this because marketers are still focusing too much on channels, rather than the journey of the customer? Rencher: Ninety eight per cent of marketing organisations today are organised in channels. I’ll have a paid media group, then search, display, social, then the Web team, a mobile team, and email – that’s the problem. I do see some marketers and chief digital officers who aren’t just saying they’re going to think about the customer journey, but are organising around that. Large casino operator, MGM, is approaching this by reorganising teams around these journeys they’ve identified. That’s when you start to get out of that campaign thinking. How is this need to tackle experience across the entire organisation also changing the functional and leadership attributes of the CMO? Rencher: You start to add up all the people that need to be involved [in customer experience] and it’s pretty much the whole organisation. So you have two choices: You could say the CEO, instead of being called the chief executive officer, is chief experience officer; or you do start to give the credibility to a CMO. As the CMO, I don’t just want you to focus on the core campaign, I want you to focus on the customer experience as the customer advocate. Look at Suncorp’s Mark Reinke: He was a CMO, then became chief customer officer, now experience has been added to that. If you look at that career journey, it mirrors the journey of the industry. If someone is going to drive the experience, they have to control the product, but that’s just a vehicle to deliver an experience. Consumers like snazzy marketing messages but really they’re most interested in the core value proposition behind what you are selling. We have seen a number of chief customer officers being appointed in Australia, and often they are marketers inheriting a customer service function and expanding their remit. In your view, is the CMO now the chief customer officer, or are these roles that need to co-exist? Rencher: Should the CMO have received the mandate of doing the whole technology replatforming around marketing? If the CIO had been really doing their job and not saying no to everything, then the CMO would have worked through the CIO to get things done. But CIOs didn’t, so CMOs went off and did it on their own. CMOs have the same opportunity with customer experience. If they take up the broader mandate, that’s going to require them to do things differently, which means they can’t just light the firework and watch campaigns go off. They are going to get more into the core product development, operations, and more of the data science. For a while, I think it’s going to be organisationally dependent and based on the person, but I do think the CMO is in the best position for it. Another popular talking point is this idea of disrupting yourself and your organisation. What’s the CMO to do to make that happen? Rencher: A lot of times when people say ‘disruption’, it sounds scary, big and a little negative. Some of the most powerful disruption is just changing a mindset. And it can be tweaking small things. For example, I’m going to let my team more rapidly iterate around the core campaign message, rather than me being the person who decides what that message is going to be. That can be disruptive. It doesn’t matter what your role is, industry or which country you’re in, everyone inherently feels more anxious around the permanency of their role, the permanency of their company and their position in the industry. That’s driving this need for change and disruption. People just want to know what to go do, as they’re not quite sure. Those are the things we talk to people about and what most of my meetings here have been about: What do I do first, how do I organise and how do I drive cultural change. One of the ways Adobe CEO, Shantanu Narayan, helped drive the culture change at Adobe was through what he chose to measure. His point is that if he’d asked for what he was asking for, no one would have believed he was serious about this change. What he measured and the questions he asked had to change. Machine learning and artificial intelligence have become major areas of investment for platform providers such as Adobe. How do you see these emerging tech capabilities impacting marketing? Rencher: It would be hard to underestimate machine learning and artificial intelligence [AI] as a fundamental trend. Machine learning and AI are among the top three trends that are going to reshape what it means to be a CMO, or what it means to be working in digital. With AI, I do think that over the next 5-10 years what this is going to provide is automation – it will change how rapidly you’re able to identify new customer segments, or get to insights. And it’s going to be critical. You’ve already seen it in programmatic advertising, which has completely transformed an industry. The power of machine learning is a little different. Machine learning, when done right, onboards complexity and outputs simplicity… in terms of interface and the insights you get. The second big trend out there is around location. Think about the great contextual experiences you have, such as Pokemon Go. That’s location. Why is Uber so great? It’s about location. Great experiences have to have location as a context. If digital is going to be as pervasive as we believe, that is what is going to happen. All around Adobe, marketing cloud competitors are undergoing significant change, and we’re seeing the line between adtech and martech blurring. How mature do you believe the current offerings are, and how much more acquisition and consolidation can we expect to see? Rencher: Consolidation on the adtech/martech side of things started a couple of years ago and that will continue. As CMOs take that broader experience approach, you can’t just think about paid media. And from a marketing cloud standpoint, we’re really the only cloud that bridges adtech and martech. Everyone sits post click; we’re all the way from pre-click to post-click. In terms of where we are in the maturity curve, I still think there is more fragmentation in the industry now than there will end up being. Where businesses are going means they need a fundamental platform. It’s not just about sending emails, the next emphasis is integration. Adobe has all of these products, but if they’re not integrated, do I as a CMO get a lot of advantage from buying multiple products from one vendor? You might get a pricing discount but you’re not getting the velocity you need. What we have spent the last four years doing is hardening the platform so that it’s integrated, and so they’re not just loosely affiliated products under the same corporate banner. [Editor’s note: According to Adobe’s most recent Financial Analyst Meeting, 83 per cent of its top 100 digital marketing accounts had purchased more than three of its Marketing Cloud solutions, up from 66 per cent in 2014].